Diggers wrote: Nice to see even one of the very best can look like a complete arse at times! Have you ever seen Ronaldo off the pitch? Diggers wrote: Watching the Classico, Ronaldo just had a complete air shot from a simple pass. Nice to see even one of the very best can look like a complete arse at times! Wasn't it a really subdued atmosphere? This game was played before lunch time in Spain, there's something not quite right about morning kick offs. I heard it was to accomodate the Asian market. pedro wrote: I heard it was to accomodate the Asian market. Lots of "Queen of Soul" tracks being played. And, no, I don't mean Helen Shapiro . . . . . . .
kwinigolfer wrote: Lots of "Queen of Soul" tracks being played. The greatest ever voice in popular music? Certainly up there. That’s a top 3 for me as well Wire, Natural Woman a great time as well. Hell of a voice. She was one of those people I thought had already been dead for years. super_realist wrote: She was one of those people I thought had already been dead for years. Being fair Davie, she's not exactly been in public life much lately. Probably a toss up for me between her and Nina Simone for best voice, I know they’re very different but both just seemed to be that little bit different from their contemporaries. I’d probably go with Nina as a few more of the songs are on my all time list, not much in it though. The point is that the fact that she's getting so much coverage (probably deservedly) now she's dead contrasts with how little coverage she's had in the past few years when she was seemingly alive still, leading me to conclude that I thought she was already dead. On only commenting when you've got something good to say, can you imagine how boring and insipid life would be if you were only supposed to comment on something if it was happy, positive and cheerful? There would be no such thing as debate or a differing of opinion. Can you honestly say you only comment when you've got something positive to say Davie? Of course you don't, but perhaps the next time you make a comment that isn't "good" I'll remind you of that. Sounds like the pitch for a David Lynch movie. I don’t discover much new music these days (outside of what my kids like), when I do it’s usuallyfrom a film or tv show soundtrack. I was watching an episode of Big Little Lies and heard a great tune, River by Leon Bridges. A bit gospelly, atmospheric, lots of depth to it, would recommend a listen. Alexa is currently playing me a mix of his songs, not bad. Gotta love Alexa! Diggers wrote: I don’t discover much new music these days (outside of what my kids like), when I do it’s usuallyfrom a film or tv show soundtrack. I was watching an episode of Big Little Lies and heard a great tune, River by Leon Bridges. A bit gospelly, atmospheric, lots of depth to it, would recommend a listen. Alexa is currently playing me a mix of his songs, not bad. Gotta love Alexa! Leon Bridges is said to be great in concert - playing 8 or 9 dates in GB in November. Not to harp on super's Aretha comments, but went to see Joan Armatrading recently, a bit diva-ish now but still a great evening. Like a few Joan songs, Kwini. Drop the Pilot is a top tune, nutty lyrics though. She was on TV a fair bit after Franklin died, was very difficult to warm to. Alexi Murdoch was another one I discovered from a film soundtrack, Away We Go. Really good film and brilliant tracks, mostly him but also Velvet Underground and George Harrison. Well worth a watch and listen. Rip Chas. People may mock them, but chas and dave are bloody brilliant! beninho wrote: Rip Chas. People may mock them, but chas and dave are bloody brilliant! There was an article on the Beeb website today about unexpected samples (so, say a sample of petula clark appearing in a megadeath track) I'll try and find the link but IIRC there was a chas n dave bassline sampled in Eminem's "my name is". The other one of note was that the "Voodoo ray" sample off of the song of the same name by a guy called Gerald (beginnings of "rave" music) is from Peter Cook & Dudley Moore! The Britney Toxic sampling of Lata Mangeshkar was pretty blatant. I assume they have to pay royalties to them? This song will never be the same again. Worth following the unexpected samples link just to hear voodoo ray again. What a track! Now to listen to pacific state. beninho wrote: Worth following the unexpected samples link just to hear voodoo ray again. What a track! Now to listen to pacific state. Of course. What a tune. McLaren wrote: This song will never be the same again. For a minute I thought it was Faldo at the ‘08 Ryder Cup opening ceremony. How many extra votes do you think she just got there? Good, it's always been horrendous. Abba are simply dreadful. She might have looked like a plank, but at least she attempted to add a bit of humour and brevity to it. Can you imagine the curmudgeonly, humourless tosspot Corbyn doing anything like this? The man has no sense of humour at all and can't even bring himself to be self deprecating. Who are currently listening to Super? Diggers wrote: Who are currently listening to Super? For years super has refused to confirm which bands he enjoys listening to. Tony Joe White died last Wednesday to little or no fanfare. But great memories for those of us of a certain age who were lucky enough to listen to Mike Raven's R&B Show. Which made me google Mike Raven, and there are some of his BBC play lists posted on-line. Amazing way for young English country boys to be introduced to the Blues. This should be renamed The Dead Musicians Room. Talking of which I've got Reggie Dwight tickets for next week, almost 41 years to the day I saw him declare he was retiring from touring. Just for you Diggers, Don't say I'm not good to you. I doubt as a bubblegum Cowell devotee you'll have heard or like any of them. I think that playlist was on in the hipster cafe I had brunch in yesterday. Good, I'm delighted not to have the same taste in music as you. By the way Mac, there's probably more white than black "artists" in there. Does that make me racist? I would imagine you wouldn't listen to anything unless it was performed by a Gay, Black, Vegan, Disabled, Siamese Twin just to tick all your diversity boxes of being right on. You like quirky indie bands. Its not eclectic. But its pretty hipster. Are you a beardy hipster? Have you ever listened to Ryan Adams? super_realist wrote: Just for you Diggers, Don't say I'm not good to you. I doubt as a bubblegum Cowell devotee you'll have heard or like any of them. Congrats on finally growing a pair. One link would have done as I’ve no intention of watching any of them. 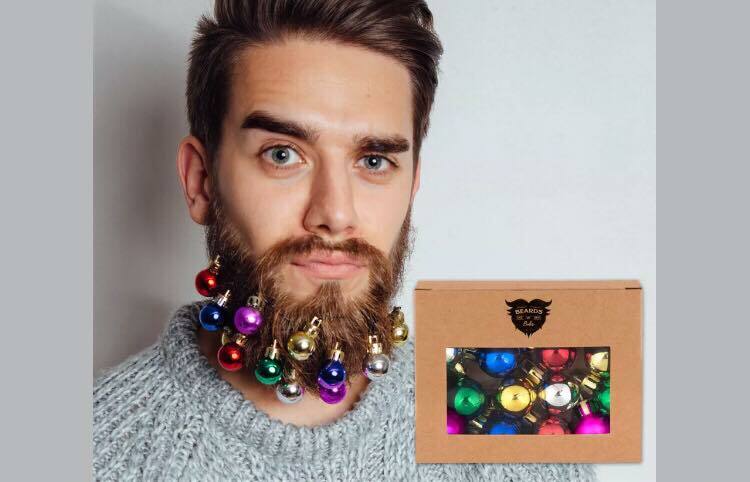 And this is how he celebrates hipster christmas. Is there anything worse than music fan pseudo superiority? beninho wrote: You like quirky indie bands. Its not eclectic. But its pretty hipster. Are you a beardy hipster? I didn't say it was eclectic. Diggers is always moaning I never reveal any of the music I like, there's a small but broad selection. I've never listened to Ryan Adams whoever he is, and I can't stand hipster beards. Ryan Adams is an American singer songwriter. I thought he may be up your street after listening to some of your songs, no need to get narky about a genuine recommendation. Music is all personal taste, whether its pop, rock, dance, quirky indie, its an individual choice. I'm pretty eclectic and can accept a good pop tune like Calvin Harris. I don't think people should feel they have better taste because its what they like. I love music, just so out of touch with most current or new bands I rely on alexa to play all my old favourites. Terrific show Ned, played almost 3 hours, no break, stubby little fingers working as well as ever. Band was fab, and Elt's voice was still pretty good. Loved it, tho' was somewhat ambivalent about going. The Pride of Pinner rocks on!